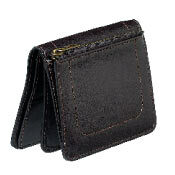 The tiniest wallet here fits snugly inside any pocket. For credit cards and large bills only—aside from an interior picture flap, there are few trimmings (691 Madison Ave., at 62nd St.; 212-751-3181). 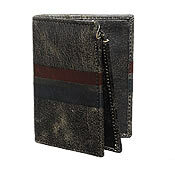 Shaped like a small diary, with faux-rustic exposed stitching. At this price point, the change compartment on the outside seems superfluous (1 E. 57th St., at Fifth Ave.; 212-758-8877). 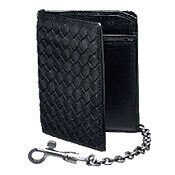 Apparently there’s a luxe mall-rat market out there, and this capacious, supple leather wallet with removable belt chain is aimed squarely at it (699 Fifth Ave., nr. 54th St.; 212-371-5511). 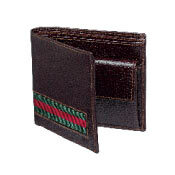 For those who like to make their brand affiliation clear, the blazon red-and-green stripe leaves no doubt. Interior change pocket adds unnecessary bulk (685 Fifth Ave., at 54th St.; 212-826-2600). 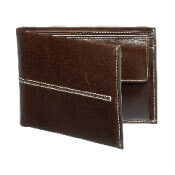 Slightly long for most back pockets, this soft leather wallet is best kept in a briefcase. Dark chocolate color and contrasting stitching lend a mature look (650 Madison Ave., nr. 60th St.; 212-644-5945). 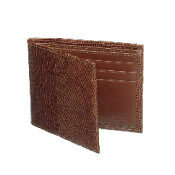 This lizard-skin number wins out in the key wallet-design category: thinness. 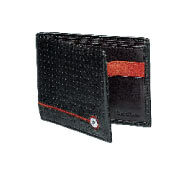 Six credit-card slots and dual bill holder make it ready for most daily needs(718 Madison Ave., nr. 63rd St.; 212-319-3235). Blue is a welcome alternative to brown and black; a striped interior adds a dash of dandy. Only four credit-card slots, though (56 Greene St., nr. Broome St.; 212-625-1820). 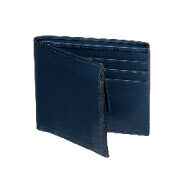 Compact and buttery soft, with suede inserts for extra flair, this wallet looks pricier than it is. Plenty of inside storage, too (620 Fifth Ave., at 50th St.; 212-765-9747). With flip-out I.D. 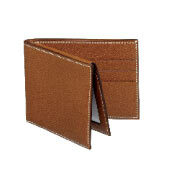 and credit-card holders, it’s a bit thick and gets even fatter when stuffed. Not for the hoarder of receipts and ATM records (40 W. 34th St., nr. Broadway; 212-947-1677).